Score high on the fashion metre by wearing this tunic from the house of Varanga. 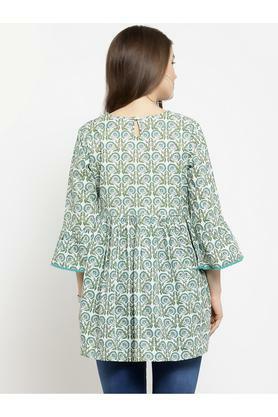 It features a printed pattern that renders it trendy, while the V neck makes it convenient to wear. In addition, it has been crafted from fine quality cotton, which will keep you comfortable throughout the day. 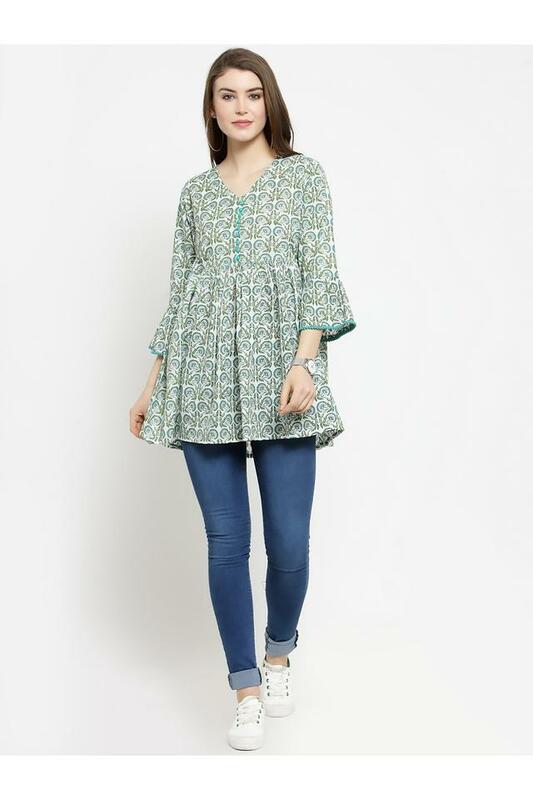 Get complimented for your fine taste by wearing this tunic on a casual day out. It can be worn with a pair of jeans for a smart look.